Aimee (Berzins) Schmitt began her swimming career at the age of seven on the Naval Station Guam Dolphins Swim Team. After being awarded “Most Improved” that first summer, she was hooked on swimming and continued to excel. She went on to set an Ohio High School State record in the 50 free (that stood for 20 years) and also became a decorated All-American swimmer at Stanford University where she helped lead the Cardinal to an NCAA National Title in 1989. Her favorite swimming highlights include making select USA National Teams; winning a silver medal as a member of the women’s 4x100m relay at World Championships; competing at 3-Olympic Trails and being a part of 3 American Record relay teams at Stanford. Post competitive career, Aimee has stayed close to the world of swim with creative marketing and consulting positions at Speedo, Nautica, AquaZone, and SwimSpray. 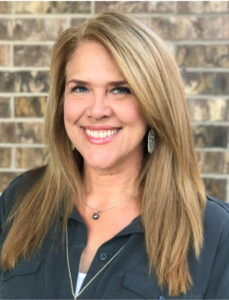 She has been an active USA Swimming certified coach and instructor for the past 20 years at all levels of the sport including lessons, clinics, camps, club teams, and high school teams. 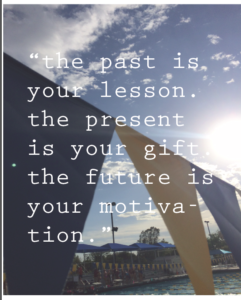 Her expertise is teaching correct stroke techniques and motivating young swimmers to reach their goals to become more efficient and faster swimmers. Aimee was encouraged at a young age to set goals and is grateful for the role her coaches had in inspiring her to dream big and visualize her goals as a reality. 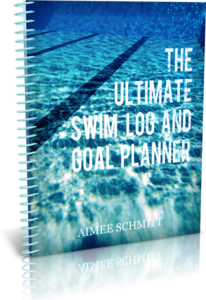 She still has a water-stained and tattered spiral notebook that served as her “goal” notes from her swimming years. 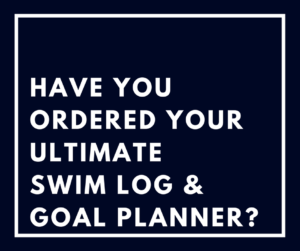 Ultimately this is what led Aimee to create a specific goal planner that could become a keepsake for swimmers. Married to former USA Swimming National Team member and Division 1 collegiate coach, Adam Schmitt, they currently reside in a small Texas town with their daughters and 3 cats.